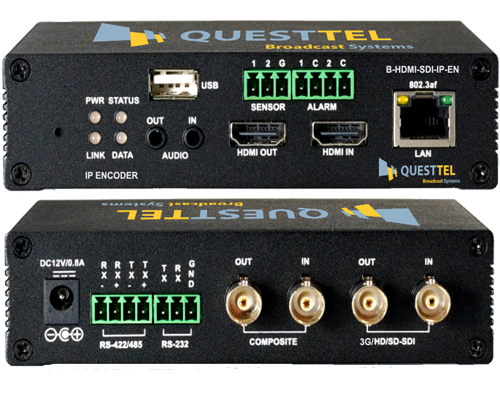 QuestTel's B-HDMI-SDI-IP-EN IP H.264 Encoder for real time IP streaming has several inputs such as HDMI, 3G-SDI and Composite video, providing a wide range of video sources with embedded audio. 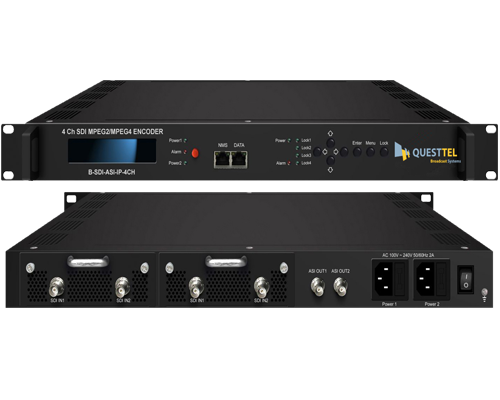 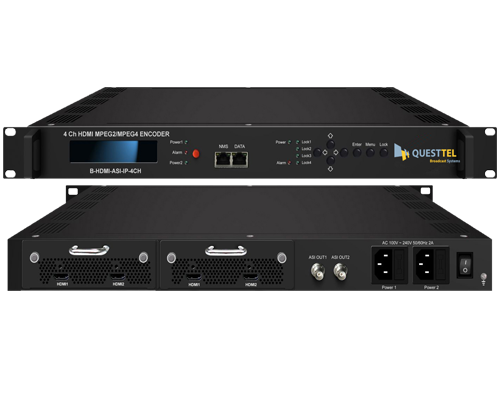 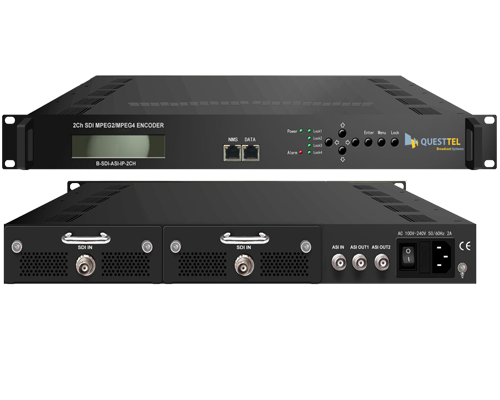 QuestTel 4K2K HDMI Encoder & Decoder - converts any HDMI source to Gigabit IP Ethernet using Multicast or Unicast streaming for real time broadcasting with USB/IR/RS232. 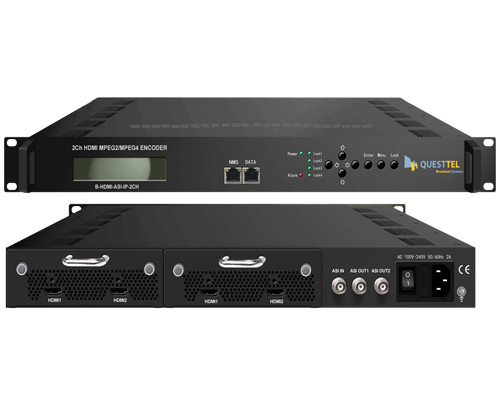 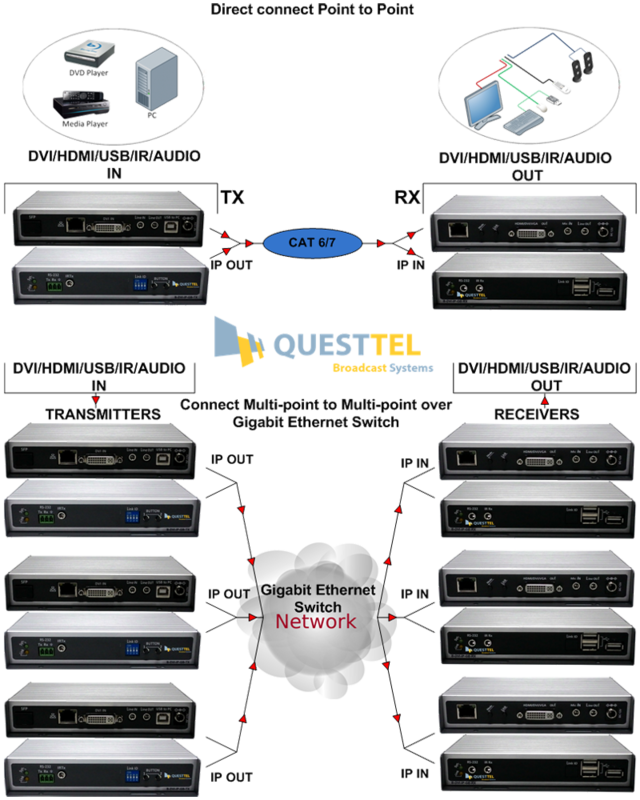 QuestTel's B-DVI-IP-GB-TX/RX is an universal solution for DVI Video over Network applications, the unit is fully compliant with Gigabit Ethernet standard and comes with audio support and unique features such as USB/IR/RS232 as well as remote on/off power option. 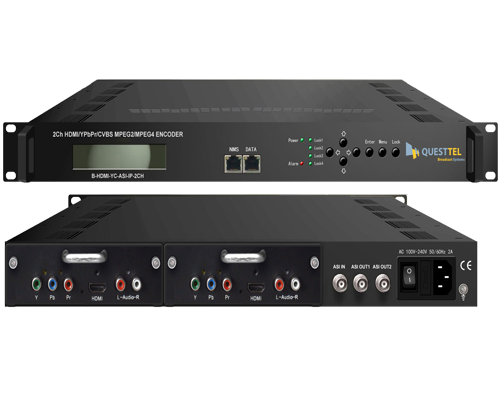 The system includes transmitter and receiver - transmitter gets DVI input source and encapsulates the data into Ethernet packets (supports Unicast and Multicast), receiver gathers IP packets and converts them back to video, audio and USB. 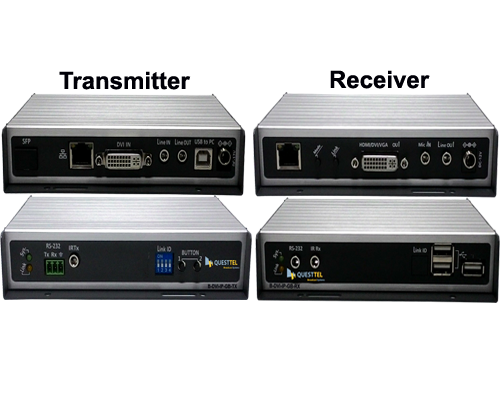 The system is based on standard IP technology, which makes it compatible with all common networking devices and enables a user to transfer the signal through full scale networks. 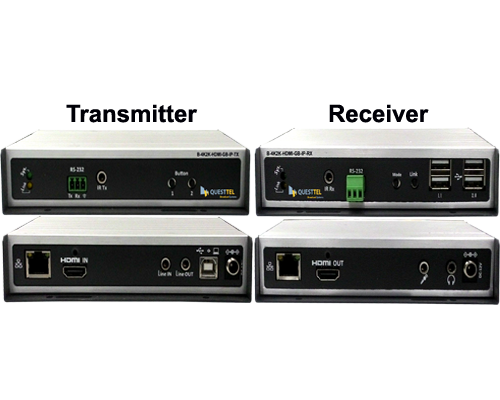 B-DVI-IP-GB-TX/RX is perfect for digital signage, info displays application, entertainment and digital education industry.